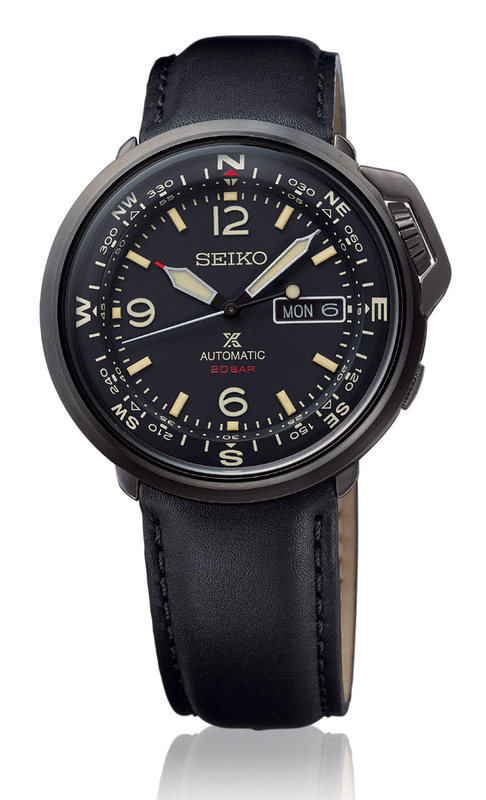 Seiko has introduced three new automatic field watches into the Prospex line up. These models have an inner rotating compass bezel, display case back and distinctive crown guard. There are three different colorways with the SRPD31K1 in brown, SRPD33K1 in green and the SRPD33K1 in black. 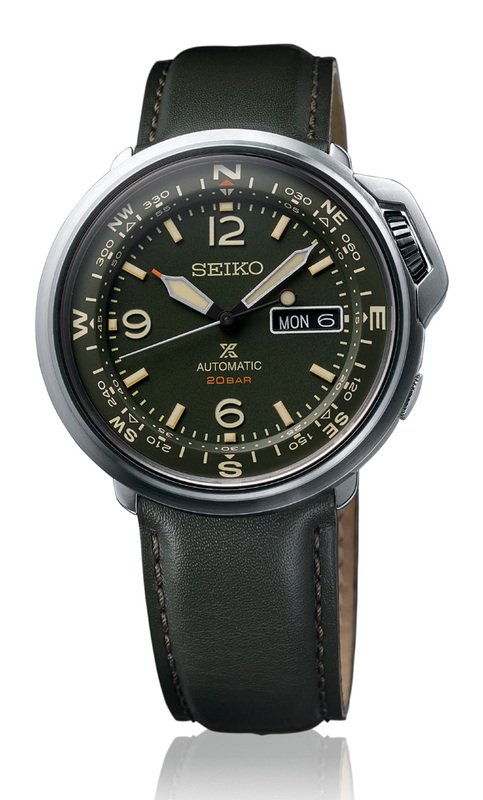 Traditionally these would have been called a Fieldmaster but Seiko seems to be moving away from the Master series of branding.